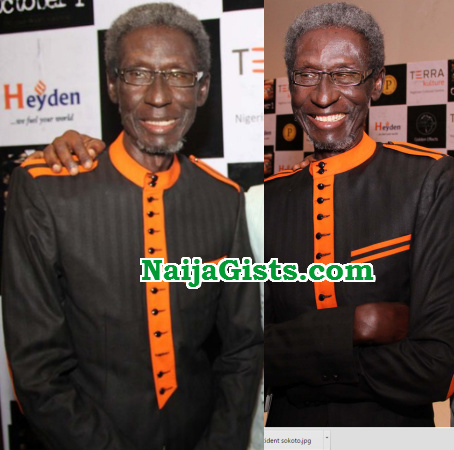 Veteran Nollywood actor and journalist Sadiq Daba has been adjudged the Best Actor in a Leading Role for his starring act as Inspector Danladi Waziri in Kunle Afolayan’s thriller, October 1. Daba beats four other Africans to emerge the best actor at the 11th edition of the Africa Movie Academy Awards (AMAA) held Saturday night in Port Elizabeth, South Africa. Well deserved. This is one of our veterans. Wish the movie industry in Nigeria will also recognize and honour our veterans instead of leaving them too suffer in their old age. Without their contributions, Nigerian movie stars will not be where they are today. Hearty congratulations to Sadiq Daba. You deserve it!